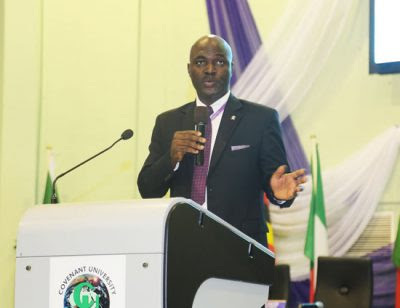 The Vice-Chancellor of the Covenant University, Prof. Aderemi Atayero, on Tuesday said that the University’s Board had instituted an endowment fund of N1billion to promote its newly-introduced glocalisation programme. Prof. Atayero told NAN in Lagos that glocalisation was a concept coined by the institution as part of its vision of becoming one of the top ten universities in the world. “The Board of Covenant University recently endowed N1 billion to any project from either Faculty or Students of the University that meets the criteria of glocalisation. “The concept of glocalisation came about after we have looked at our immediate environment, looked at the present problems in Nigeria, Sub-Saharan Africa and Africa in general. “We then started thinking of how we can provide solutions to these problems, through scientific approach, to proffering solutions to these problems, and by so doing getting global relevance. “With glocalisation, we would be able to solve our local problems, through publishing of our results, disseminating knew knowledge created, and this way we get global relevance,’’ he said. According to him, it is imperative to promote research with application in solving problems of poverty, moral decadence and inferiority complex. He said that the programme was one of the missions of the Living Faith Church to eradicate poverty, liberate souls, moral decadence, build skills and reposition people spiritually, economically and socially.